104680 Push button pto switch with 4 terminals to control ignition and starter solenoid. One pair of terminals NO=Normally open. One pair of terminals NC=Normally closed. 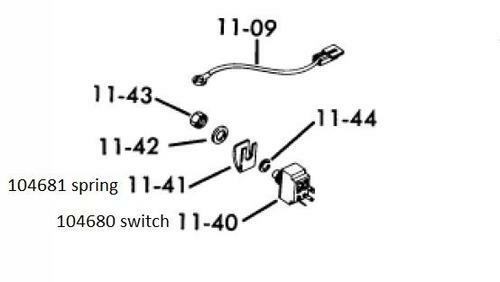 Models using this switch also have a seat switch. 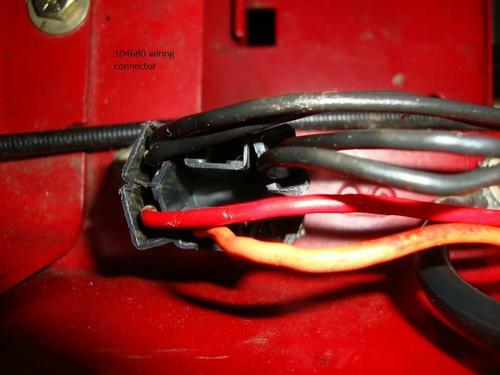 1975 B-Series use 104681 U-shaped spring to contact the pto switch button. 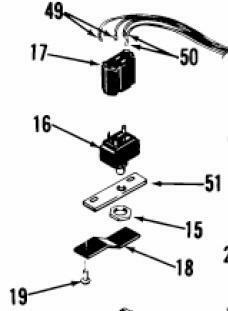 1975-1976 C-Series use 104681 U-shaped spring to contact the pto switch button. 1978 D-200 Automatic uses 104681 U-shaped spring to contact the pto switch button. 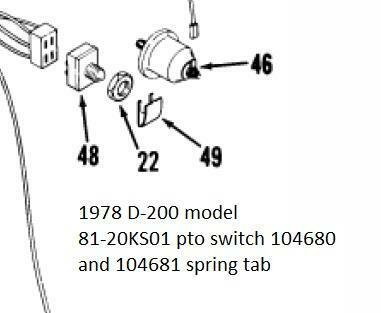 1977-1981 C-Series use 105873 flat spring to contact the pto switch button. 1982 SK-486 use 105873 flat spring to contact the pto switch button. Note - The following applications are a work in progress and some are not accurate. 1976 C-120 Automatic model 61-12KS03 - 105877 replaced by 38-0430 for neutral switch and 104680 for pto only listed on TIPL. 101845 is not listed. 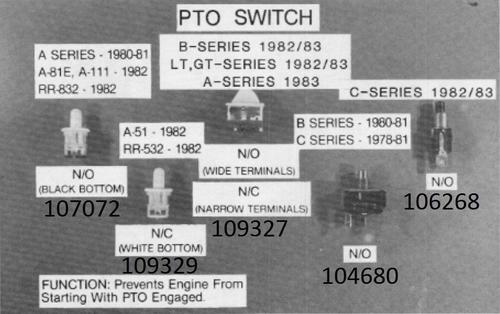 1976 C-160 Automatic model 61-16KS03 - 105877 replaced by 38-0430 for neutral switch and 104680 for pto only listed on TIPL. 101845 is not listed. 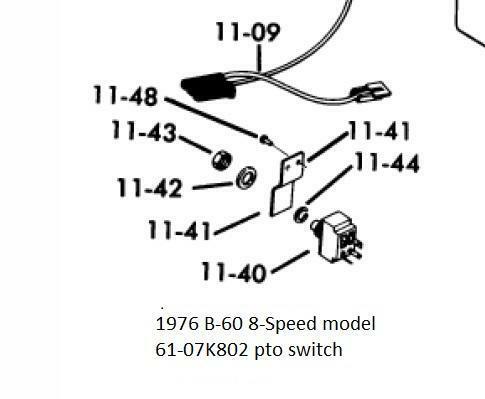 1982 SK-486 model 01-16KH01 8-Speed - 105877 replaced by 38-0430 for neutral switch and 104680 for pto only listed on TIPL. 101845 is not listed.